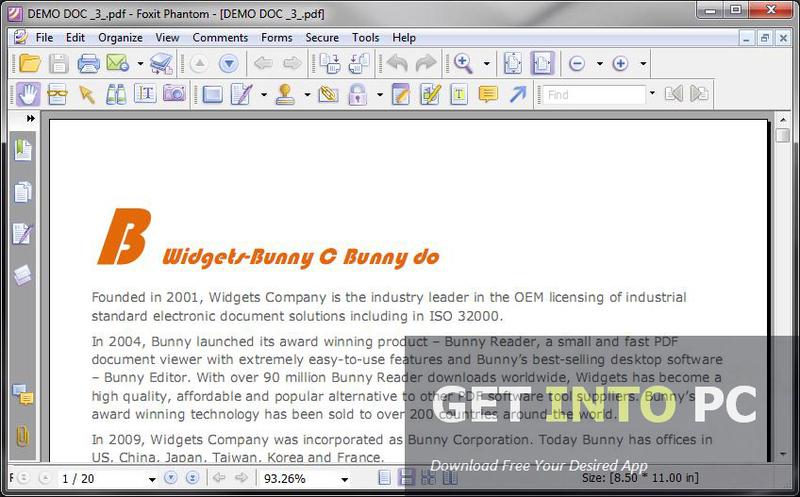 Foxit PhantomPDF Business Free Download Latest Version for Windows. 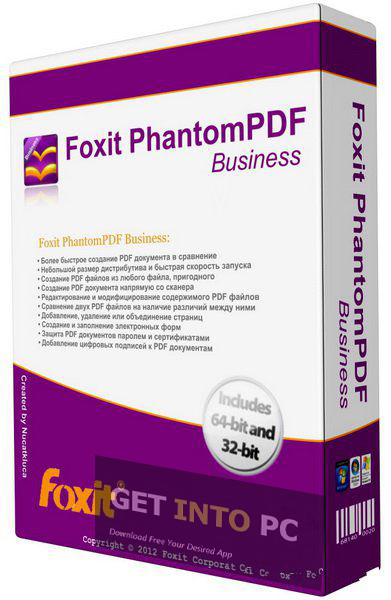 It is full offline installer standalone setup of Foxit PhantomPDF Business for 32/64bit. 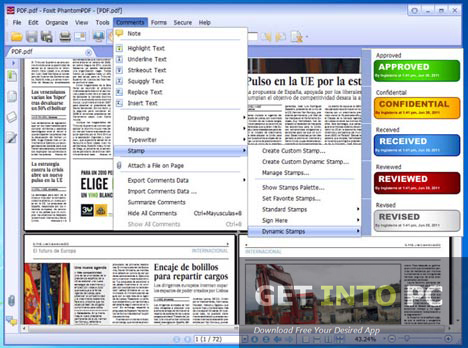 Foxit PhantomPDF Business is an application by which you can create PDF files without any toil. It contains all the feature that are necessary to create a PDF files. Along with creating PDFs there are also tools available for editing, encryption and conversion of PDF files. 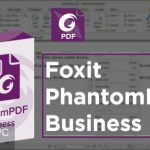 Foxit PhantomPDF Business is a multilingual application that is available in English, Spanish, German, Dutch, French, Italian,. Russian and Portuguese languages. 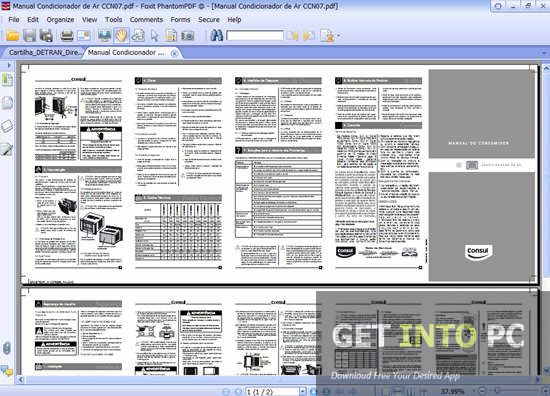 You can also Download Foxit Advanced PDF Editor which is another great tool for users. The interface of Foxit PhantomPDF Business is very simple and catchy and is tabbed based which will help you access different tools very easily and without any efforts. Switching between multiple documents has also been made easy with its tabbed support. 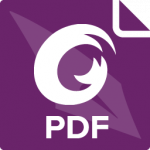 Foxit PhantomPDF Business supports batch processing which means you can save lots of your time by converting multiple files into PDF simultaneously. For simple use you can Download Foxit PDF Reader which is very fast and great alternative to Adobe Reader. It also has great support for a wide range of file formats like XLS, DOC, DOCX, PPT, PPTX, GIF, PNG, JPG etc. 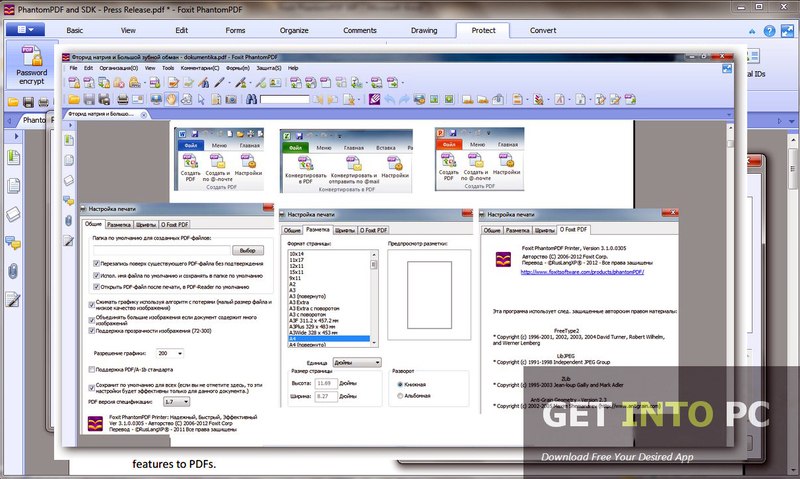 One more interesting feature of Foxit PhantomPDF Business is that you can merge multiple files into one PDF file. Editing of a PDF file does not involve editing your text but you can also rotate the page in a document. You can also crop the portion of a document if necessary. A document can also be split into different files if necessary. 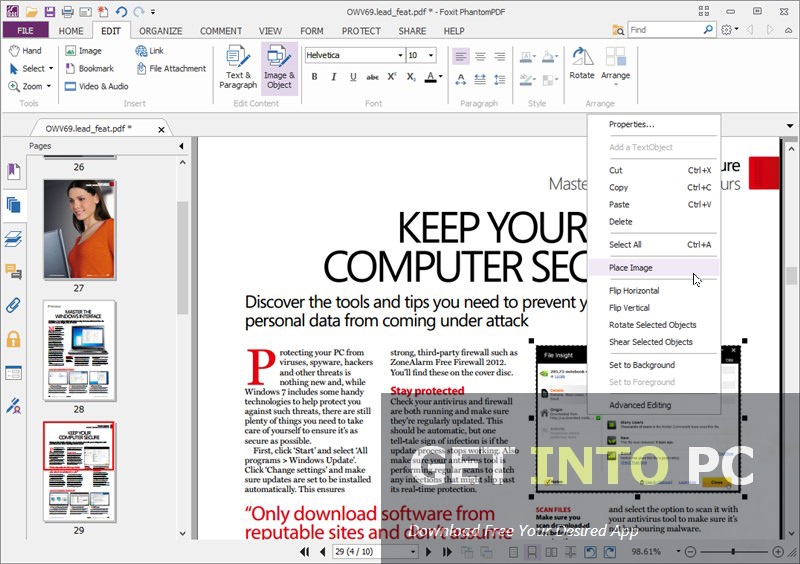 You can add text and images into your documents with a built-in editor provided. There has also been a great emphasis over security and you can have a document that can be protected for unauthorized viewing. You can set a password for the document in this way you can protect your file. The font in the text can be changed in a document and the color can also be customized. You can also insert header and footer in a document. All in all Foxit PhantomPDF Business is a very useful application for creating PDF files quickly and efficiently. Below are some noticeable features which you’ll experience after Foxit PhantomPDF Business free download. 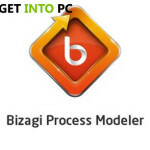 Can create, convert and edit PDF files. Can merge multiple files into one. Support for wide range of file formats. Can add text and images into the document. Can crop a portion from your document. Can change font style, size and color. Can insert header and footer in a document. 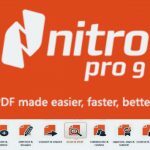 Before you start Foxit PhantomPDF Business free download, make sure your PC meets minimum system requirements. Hard Disk Space: 1GB of RAM required. Processor: 1.3GHz of processor required. Click on below button to start Foxit PhantomPDF Business Free Download. This is complete offline installer and standalone setup for Foxit PhantomPDF Business. This would be compatible with both 32 bit and 64 bit windows.